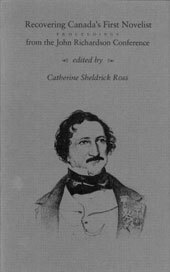 ‘An introduction, six papers from the conference at the University of Western Ontario and a brief biographical note constitute the first ‘‘full scale scholarly examination’’ of Canada’s earliest novelist. But neither the editor nor her team of biographer, textual critic, literary historian and literary critics are under any delusions; to reconstruct the life, work and reputation of the mercurial Major John Richardson after one hundred years of comparative neglect is not the work of a single moment, nor of a single conference. 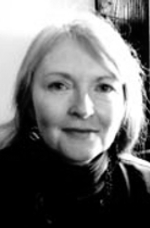 One ought perhaps to leave unasked the question if there is any other nation’s literary primogenitor who, with a few notable exceptions, has been so poorly served by the literary and academic community; particularly when, as Michael Hurley argues, so many of Richardson’s obsessions are equally those of contemporary Canadian writing. ‘This short collection makes an impressive start on that grand task of refurbishment; especially since it, wisely, clears some of the rank vegetation which has encroached on Richardson during the years of neglect. Carl Klinck, David Beasley and Douglas Cronk open the discussion by usefully telling us what is not helpful to think about: Morton (in Wacousta) was not modelled on John Norton, the champion of Indian rights; the biography reveals a more urbane and likeable man than legend reports; and one must handle the received texts with considerable care until a more careful editor has rendered what Richardson actually wrote and not what American publishers pirated. Until a more reputable text emerges it is difficult for literary critics to go to work, but I.S. MacLaren, Jay Macpherson and Michael Hurley each attempt to place Richardson within the mainstream of the Anglo-American Gothic tradition. Catherine Sheldrick Ross is a professor at the Graduate School of Library and Information Science at the University of Western Ontario. She is the editor of Recovering Canada’s First Novelist and the author of numerous books on Library science, science books for children, and a biography of Alice Munro entitled A Double Life (ECW Press, 1992).